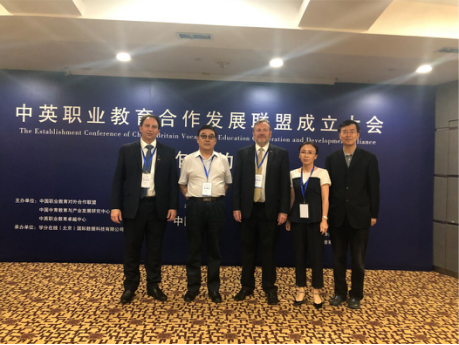 Chinese Federation for Foreign Cooperation in Vocational Education, Chinese-British Excellence Vocational Education Center and Educhina education development Center held the founding congress for Sino-British Association for Vocational Education Cooperation and Development on 25th May in Beijing. Over 50 relative leaders from different units and colleges attended the congress. At the meeting, Huang Yahui, President of the Sino-British Vocational Education Excellence Center Greater China, introduced the background and preparations for the establishment of the Sino British cooperative development alliance. 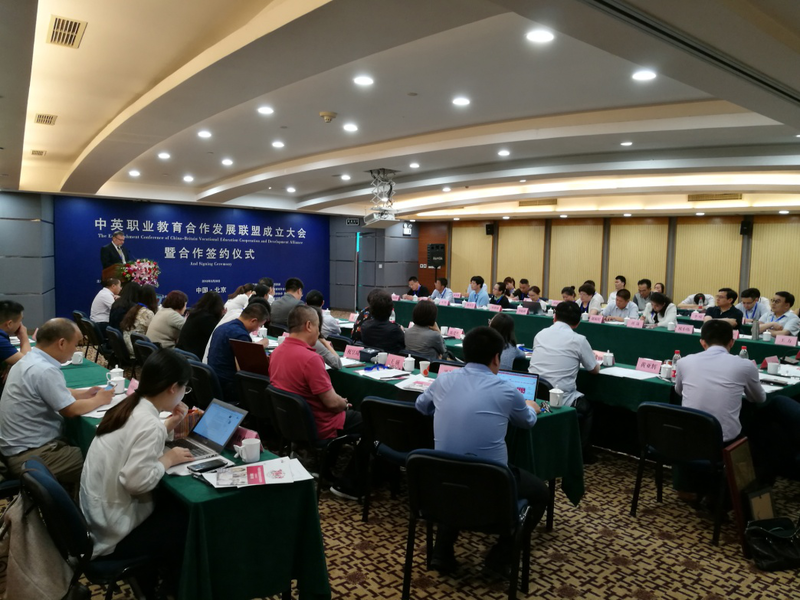 The participants voted on the adoption of the regulations on the work of the Sino-British Alliance for Cooperation and Development in Vocational Education, the list of the first Council of the Sino-British Vocational Education Union and the list of the steering Committee. Wang Zhaoming , Chairman of the Association of Foreign Cooperation of China Vocational Education , and Wang Xiaojing , the representative of the British International Trade Ministry , opened the board at the opening ceremony of Sino - British Vocational Education Alliance. The Sino-British Association for Cooperative Development of Vocational Education is composed of teachers, enterprises and scholars from vocational colleges and universities in China and Britain. 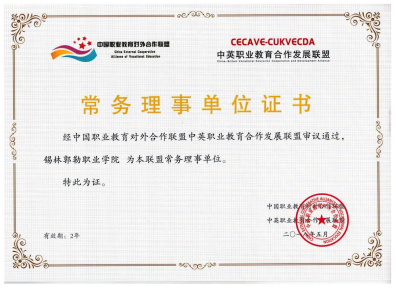 The committee plans to work on the integration of industry and teaching, the modern apprenticeship system and the evaluation of vocational education achievements. At present, 35 Chinese universities and 16 British institutions have applied for membership. Our hospital has been deliberated and approved, and has become its executive director unit. The modern apprenticeship system, management system and teacher training in British vocational education are in the leading position in the world. Our college will take this as the starting point to actively introduce international advanced vocational education experience. To promote the cooperation and exchange of vocational education with Britain and other countries in many aspects, to continuously raise the level of our college's opening to the outside world and cooperation, and to contribute to better serve for the development of "Belt and Road" and other countries.